This Thursday 14th of July France celebrates its National Day and the occasion calls for a toast. La fête nationale, also known as Bastille Day, gives us an opportunity to raise our glasses to celebrate courage and progress. The date honours the Storming of the Bastille in 1789, a climatic event during the beginning of the French Revolution and across he world, Francophiles celebrate it with music, fireworks, parties and parades. We’ll celebrate it with French wine. Château Remaury Minervois 2014 comes from the Languedoc, a southern French region known for its rich blends and of which the appellation Minervois is a part. 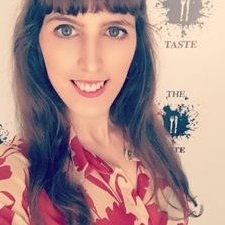 In this case the combination involves Carignan, a tricky grape that only thrives when its warm enough, along with fruity grenache and spicy syrah. It’s made by Gérard Bertrand, one of the region’s most experienced and praised winemakers, on a 75 hectare estate on a stoney hillside soil rich in clay and chalk. It’s medium bodied and despite reaching an ABV of 14% the alcohol feels well integrated. The climate in the region is hot enough to bring Carrignan’s best side, and the grape dominates with its ripe red fruit and mild barky feeling (enhanced by some oak ageing). The tannins are present and perky, and thanks to grenache’s sweet gift they are kept in line. Sweet spices among which cinnamon stands out complement the aroma and flavour range and put it above plainer, fruitier counterparts. The best way to enjoy this wine is with food, and because it is moderate yet flavourful, there are plenty of dishes to play with, from duck, to lamb to BBQ, this red will show great versatility on the table. If you’re looking for recipes, we can suggest Lamb Rump with Pea Puree & Puy Lentil Cassoulet or Maple Glazed Duck. 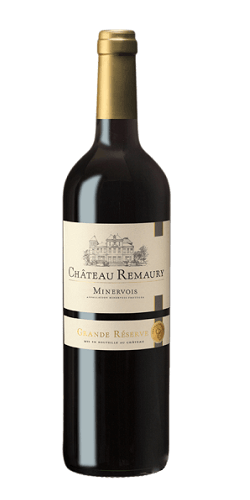 Château Remaury Minervois 2014 is available at O’Briens at €14,95 and is currently on offer at €11.95.